Dear Otto: How do I teach keyboarding in a 25-minute class? I’ve been teaching 5th grade for 8 years, but next year will be my first year teaching as the technology specialist for 3rd-5th grades. I purchased your lesson books for these grades and am just beginning to go through them to start mapping out my curriculum. It looks like we will have a change in our specialist schedule however, so I am wondering if you have some advise on how to best structure my class in order to teach the lessons as well as focus on keyboarding skills in a shortened class time. Instead of seeing my students once every 6 days for 45 minutes, I will see them every 3 days for 25 minutes. What would you recommend? Any input you could offer would be greatly appreciated. Thanks for the wealth of information and resources the website provides to those of us in these teaching positions! every time students use your lab/classroom, remind them to use the good habits they learned during keyboard practice (all hands/fingers, elbows at sides, use finger nearest the key, fingers curled over home row). Those skills are for all uses–not just typing exercises. assign homework–15 minutes 2-3 times a week, all keyboarding. Use an online website like DanceMat Typing or typing Web so it’s easy to access. I like focusing on a row at a time at the start of the year. have class teachers help. Students learn keyboarding not to pass your test, but to complete core classroom work faster and more efficiently. The grade-level teams should be your partners in this. Ask them to remind students of good keyboarding habits (give them one of the lists in the curriculum you purchased) every time students use computers. make keyboarding fun by occasionally having a competition in class. I like using Brown Bear Typing (which focuses only on key placement). See who gets the highest score and award a prize that fits your student group. Or, play a team competition (I’m not sure it’s in the textbooks, but you can get it free here if you joined the keyboarding class. This keyboarding wiki is private for the summer online keyboarding class. make it competitive by tracking progress on the classroom walls. Mention this briefly during each class–Congrats to **** for passing Lesson 4! I do have a keyboarding curriculum you can check for more ideas. Good luck! You are going to have so much fun. I still remember the exhilaration and creativity that imbued my first year. 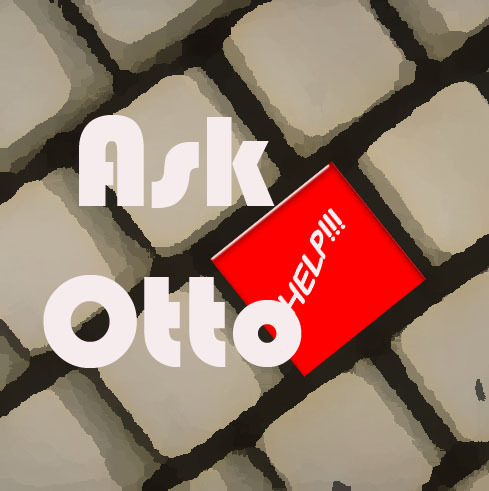 One Response to Dear Otto: How do I teach keyboarding in a 25-minute class?